Parents are constantly bombarded with messages to talk to their kids about drugs and alcohol. Yet studies show that more and more parents report never talking with their kids about these issues. So when the Mass. Dept. of Public Health’s Bureau of Substance Abuse Services asked for our help in improving parent-child dialogue, we sought out a new way to reach parents. Our mission was to provide parents with a comprehensive set of perspectives on the subject from other parents, youth, and subject matter experts. The idea was to create a more accessible publication that would engage parents with useful information in an emotionally compelling format. This strategy would help us address common beliefs and misconceptions that often break down communication barriers. 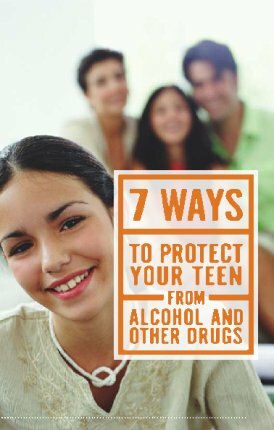 Our booklet, 7 Ways to Protect Your Teen from Alcohol and Other Drugs was designed to dispel myths about teen substance use and provide relevant information and actionable advice that truly speaks to the concerns of parents. Some of the advice was delivered through the use of personal quotes to help personalize the issue. Since its first publication, 7 Ways has been in high demand from both parents and educators. To date, the publication is among the Bureau of Substance Abuse Service’s most requested pieces – with more than 325,000 copies distributed across the state! Poster, Transit cards, Magazine, and Newspaper Ads. Poster, Transit cards, Magazine and Newspaper Ads.